I have bought many kitchen gadgets in the past that haven’t stood the test of time. Ice cream machines, hot chocolate maker etc all bound for the back of the cupboard and occasional use only. 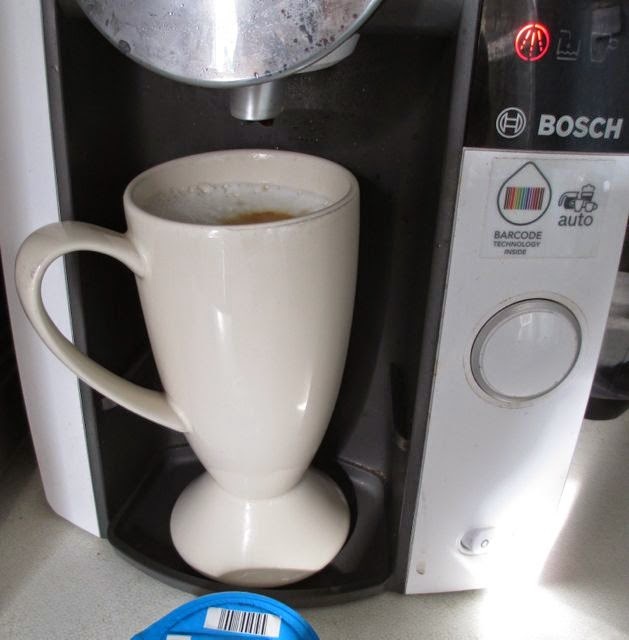 One of the gadgets that I use every single day though is my Tassimo. I’ve had a machine for a few years now and whether it is an after work coffee or a before bed hot chocolate the machine is used with guaranteed regularity. 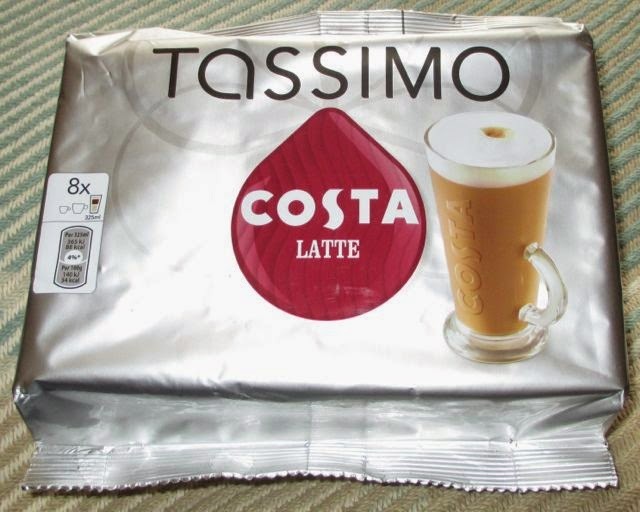 Although Lattes have always been available for the Tassimo recently Costa have got on board and now you can make your very own Costa Latte at home. Inside the pack are two different types of disc for the machine. There are eight milk and eight espresso, and to make one drink you use one of each, i.e. it makes eight lattes. The drinks make a big mug full, which is lovely, so I put my large mug in the machine and loaded in a milk disc. The discs are double sized but fit easily in the machine. The second you press the start button the drink making begins and seconds later hot milk is being distributed to the mug. A quick switch of disc and the espresso is being poured into the milk and the coffee is ready to go. If you don’t have a Tassimo there is no clean up or mess, you just take the discs out and that’s it. The machines do need de-scaling every few months, and I run the cleaning program after I do that, but again it is all automated and just gets on with it on its own. Easy, and I think this why my Tassimo has passed that test of time, no washing up or hassle! Anyway, back to my Costa latte, I noticed my mug looked a little fuller using the Costa discs than the other make I’ve tried. 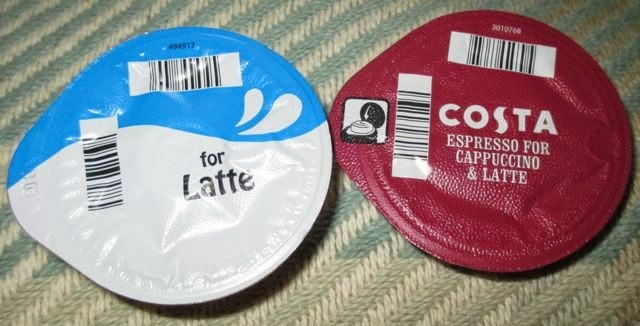 The taste was good, the milk was thick and almost frothy, with a lovely creamy edge to it. The espresso had delivered a decent shot, it almost looked like a double in amount. As such the coffee was rich and strong, but with no bitterness at all. It did taste like Costa’s I order in store, but came in at a fraction of the price. The other thing that you might not realise with the Tassimo machine is that it also makes tea. Yes just like there are discs for making coffee, you can put some in to make tea. 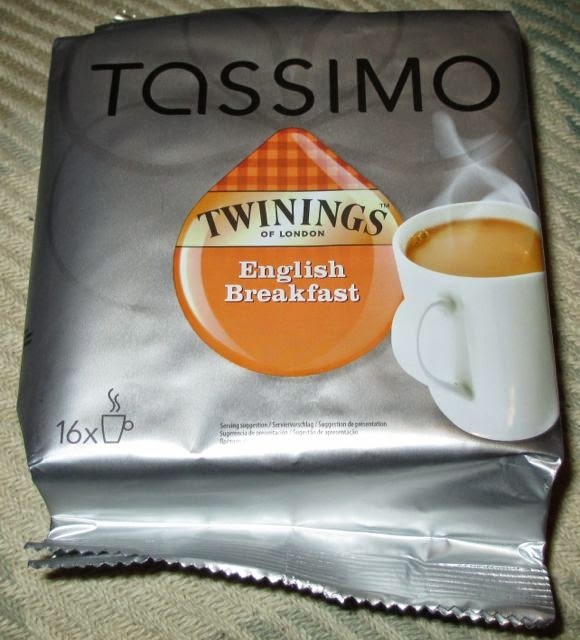 They are from a good make too, Twinings, so I was expecting a good cuppa. I put the disc in and brewed up the drink. I have to admit it did make a proper English Breakfast cup and I very much enjoyed the drink. My only issue is that I can make a really nice cup of tea with a tea bag at home, for a few pence. I can’t make a proper latte though, so that is where I think the Tassimo comes into its own. The tea is nice, and I will drink it up, but the coffee has won me over. Many thanks to the folks from Tassimo for sponsoring this post, as ever my views remain impartial.